C. Gregory Harper has spent his entire 29-year career in the energy sector. Currently president of Gas Pipelines and Processing for Enbridge’s natural gas business, Harper brings deep and proven operational, commercial and developmental experience, thanks to an extensive background in the natural gas industry. Having spent his formative years in Kentucky and Louisiana, Harper selected the University of Kentucky for his engineering education because he appreciated the diversity he saw on campus. The son of a petroleum engineer, Harper was fascinated by all facets of the energy industry. Through his engineering education experience, supplemented through summer jobs, Harper set his sights on one day leading a company. After graduating from UK in 1987, Harper joined Texas Eastern as a construction engineer. In the midst of building a successful career in the pipeline sector, Harper transitioned to Duke Energy North America, where he profitably closed a $4 billion business, launched spinoff business Spectra Energy, took public its subsidiary, Spectra Energy Partners and became its president and CEO—all within 18 months. In all, Harper spent 20 years with Duke Energy and its subsidiaries. He earned an MBA from the University of Houston in 1997. In 2008, Harper became group president, pipelines and gathering at CenterPoint Energy, where he took a company producing $360 million in annual operating income and turned it into one making $600 million. Harper remained with CenterPoint Energy until 2013 when he joined Southwestern Energy as senior vice president, Midstream. In 2014, Harper was named executive vice president and president of Gas Pipelines and Processing for Enbridge, Inc., operator of the world’s longest and most sophisticated crude oil and liquids transportation system. Enbridge has established itself as a North American leader in energy transportation, generation and distribution. Based in Houston, Texas, Harper is responsible for all natural gas and natural gas liquids activities in North America, including its significant presence in the deep waters offshore in the Gulf of Mexico. He has continued to demonstrate remarkable leadership by attracting and retaining top talent from previous places of employment. 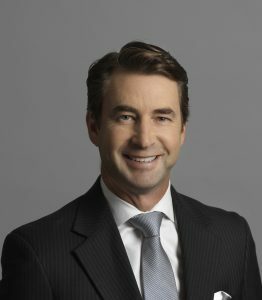 In addition, he is principal executive officer for Midcoast Energy Partners, which serves as Enbridge’s primary vehicle for growing its natural gas and natural gas liquids midstream business in the United States, and is president of Midcoast Holdings, LLC. Harper serves on the board of directors of Sprague Resources, LP and in 2013, he served as chairman of the board of the Interstate Natural Gas Association of America. He is actively involved in community service, including educational, industry, professional and arts organizations. Harper is on the board at the University of Houston’s Bauer School of Business, the board of visitors at the University of Houston and he is immediate past chairman of the board of directors of Theatre Under the Stars. Harper resides in Houston, Texas. He has one daughter and two sons.